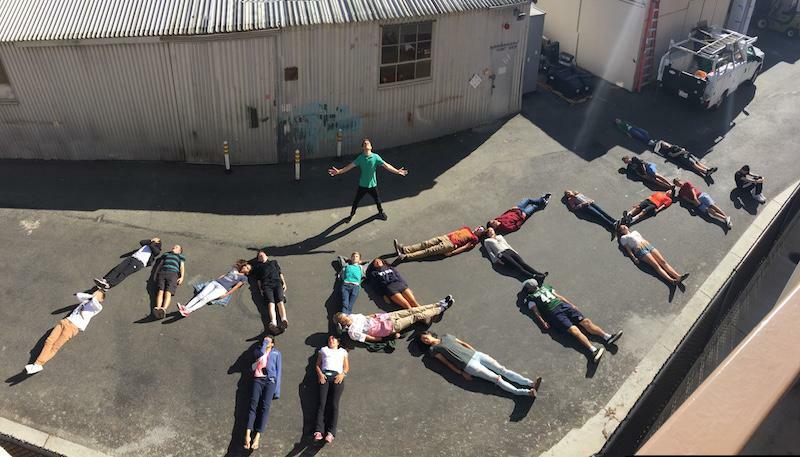 Math teacher William Friebel stands over his students as they spell out “Math” on the cement. Friebel submitted the photo to InFocus as the Paly picture of the day. He recounts the moment as one of his favorite teaching memories. Photo courtesy of William Friebel. 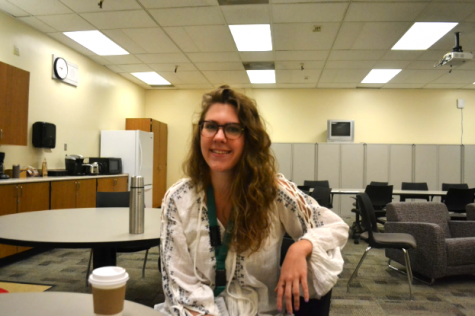 This is the third installment of Coffee Chats, where The Paly Voice gets to know Paly staff members over a cup of coffee. 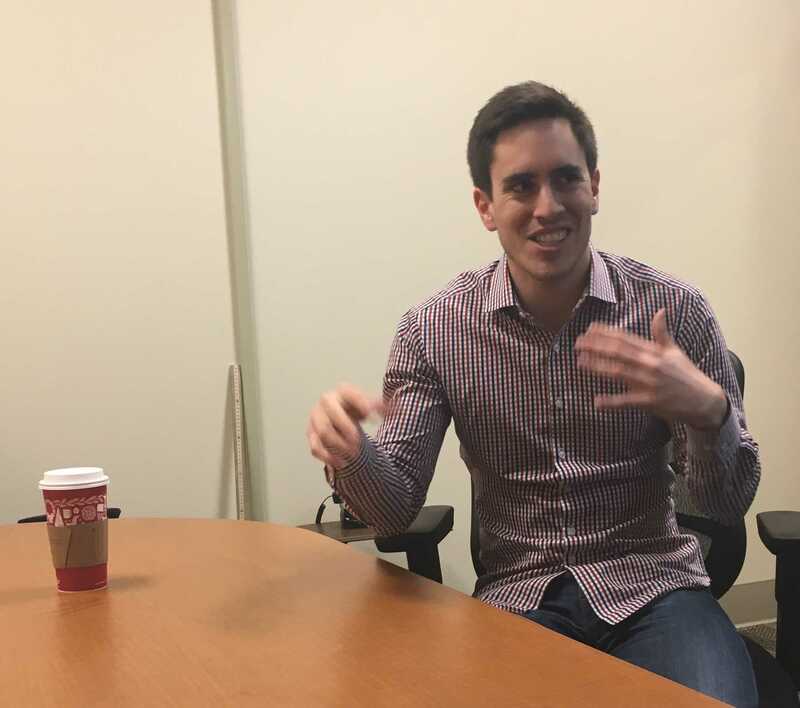 The Paly Voice sat down with math teacher William Friebel over a latte to discuss his transition from student to teacher at Palo Alto High School on Jan. 14. 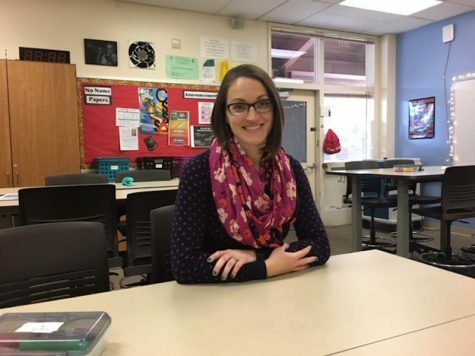 This is Friebel’s third year teaching math to students of all grade levels. Following in the footsteps of his mother, Friebel grew up in Palo Alto and was a student at Paly, along with his brother. 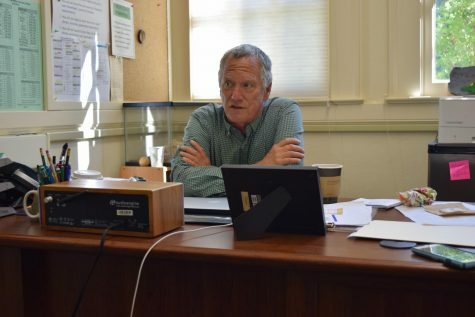 Many of Friebel’s teachers are still a part of the faculty today, including the current instructional supervisor of the Math Department, Radu Toma, who was his former teacher adviser. He was also taught by current math teachers Scott Friedland and Arne Lim and history teacher Steve Foug, according to Friebel. Despite the fact that Friebel was a former student, he says the Paly staff has created a welcoming environment. 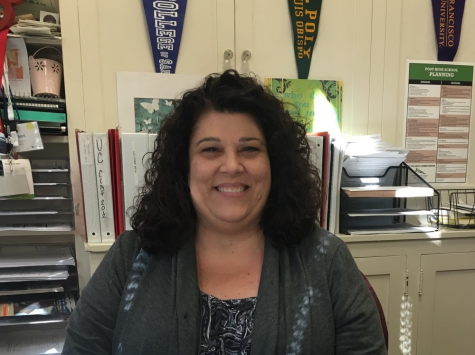 Friebel says he also enjoys how collaborative and caring Paly’s Math Department is. Friebel shares his experiences as a part of the Paly faculty. Photo by Morgan Keller. 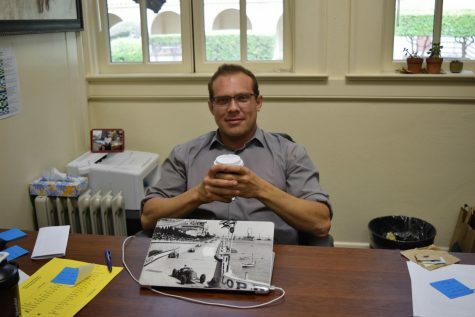 Friebel maintained an interest in math during high school, however, attending Whitman College in Washington allowed him to discover that he was fascinated by philosophy. After studying the subject for a few years, Friebel realized that the career path didn’t align with the life he had imagined. After college, Friebel decided to continue studying math and earned his teaching credential as well as a master’s degree in education. After tutoring elementary school kids as well as working at a juggling shop, he began teaching as a volunteer seventh grade math aid. 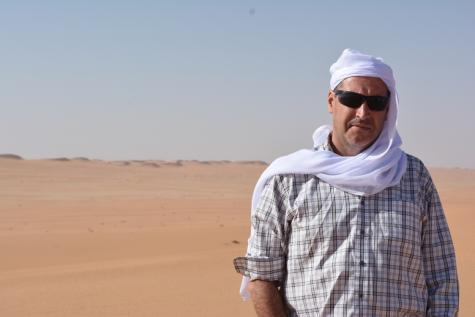 According to Friebel, serving as an aid was how he discovered his passion for teaching. 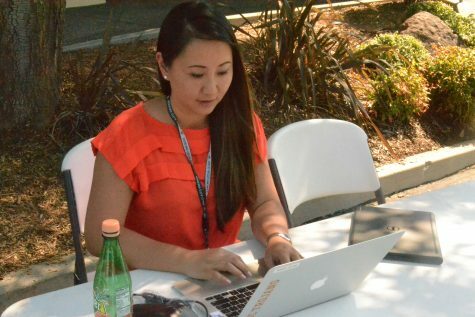 “When I was in the classroom actually seeing what goes on, it made me realize it was something I seriously wanted to pursue,” Friebel said. 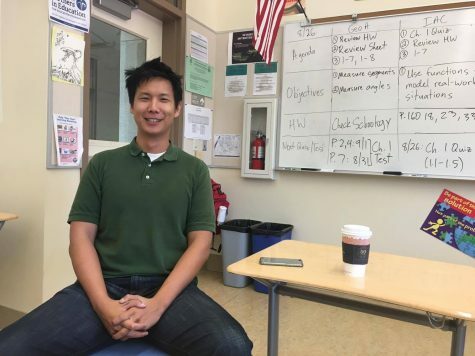 He started as a full-time teacher at Orchard Middle School in San Jose before switching to Paly. 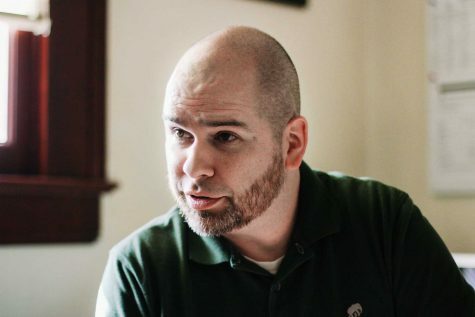 Friebel realized he prefers teaching high school students because he is able to make more of a connection with them. 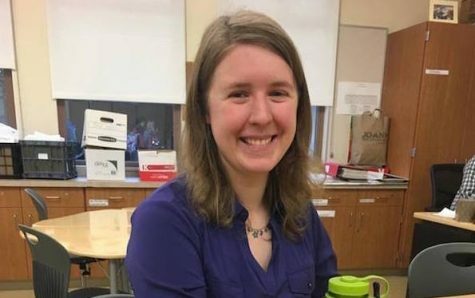 Outside of teaching, Friebel enjoys rock climbing, juggling and continues to be passionate about philosophy.